The battle over the future of the three schools in the Prendergast Federation is now having to step up another gear. 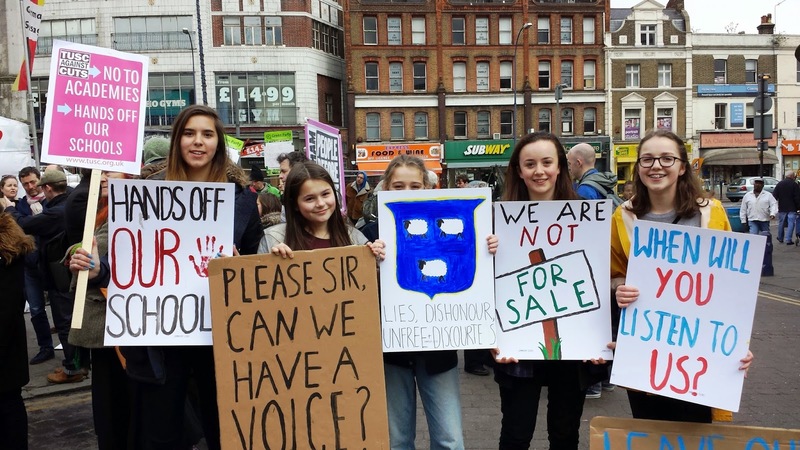 The Governing Board have announced that their 'formal consultation' starts tomorrow, to end by May 18th. They clearly hope to have the legal processes done and dusted in time for a new Government to sign-off the Funding Agreement and, as long as they can also resolve PFI funding issues, complete the conversion. 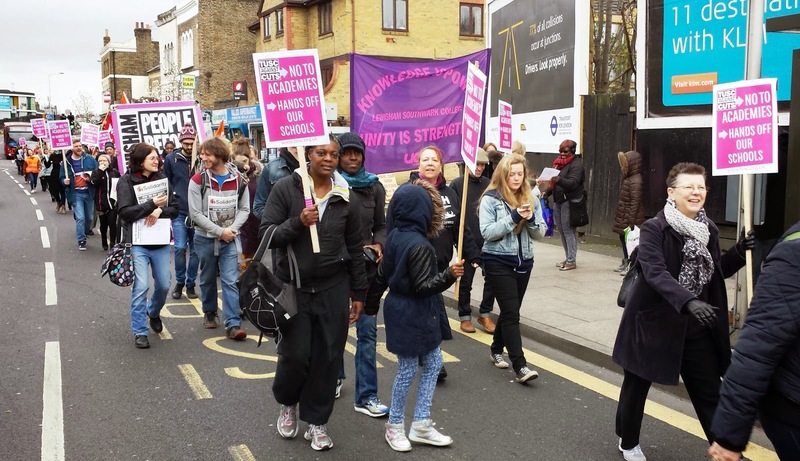 All safely self-stewarded - no police in attendance at all! 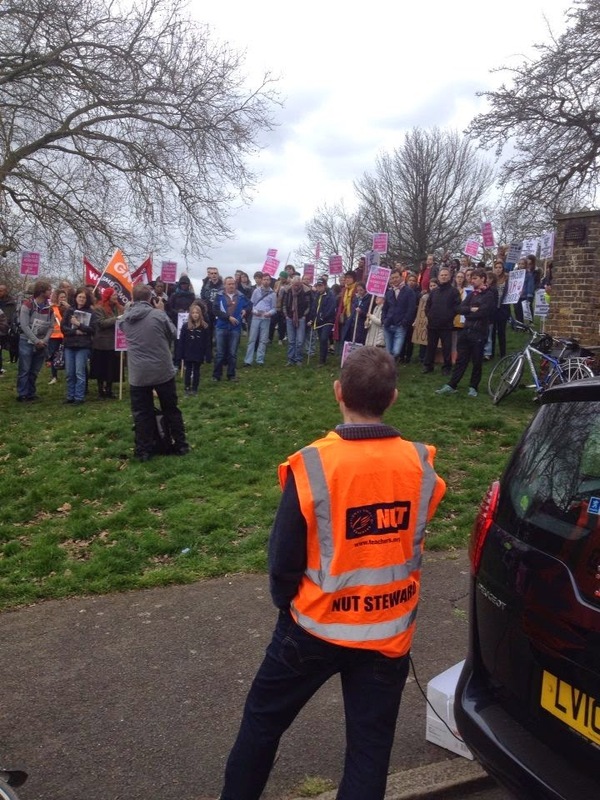 The consultation announcement was answered with a demonstration through Lewisham and Ladywell yesterday lunchtime. 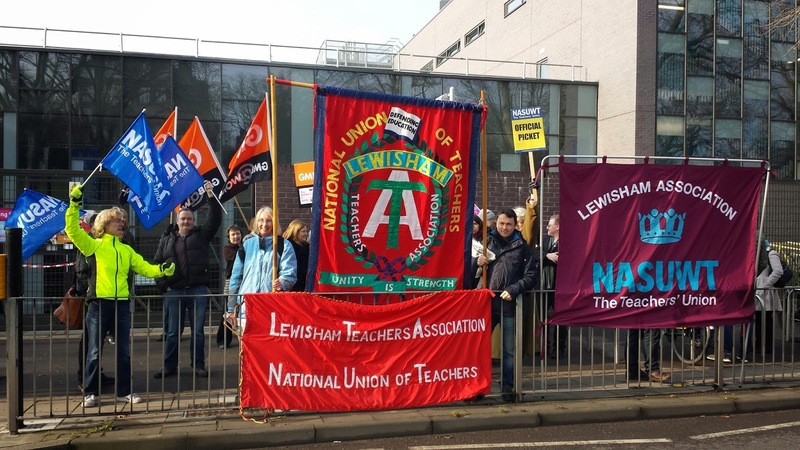 Organised at short notice, around three hundred staff, students and parents gathered at Lewisham Clock Tower to march to a rally on Hilly Fields, next to Prendergast School. 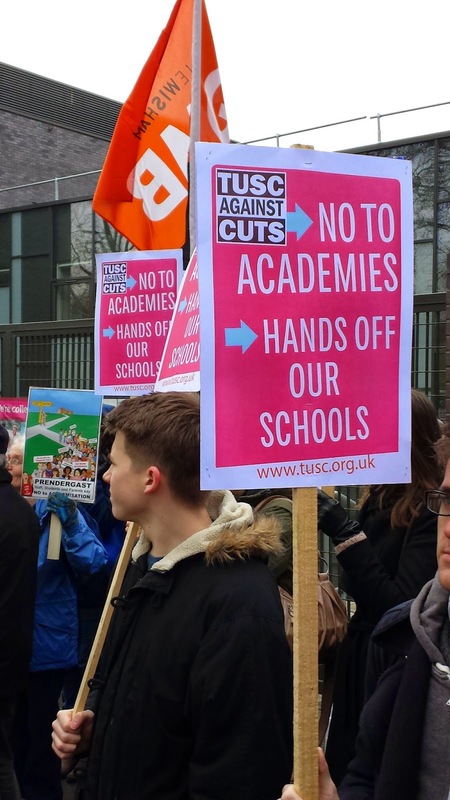 TUSC members were there to support the demonstration and the pink 'No to Academies, Hands Off Our Schools' placards were well-received. 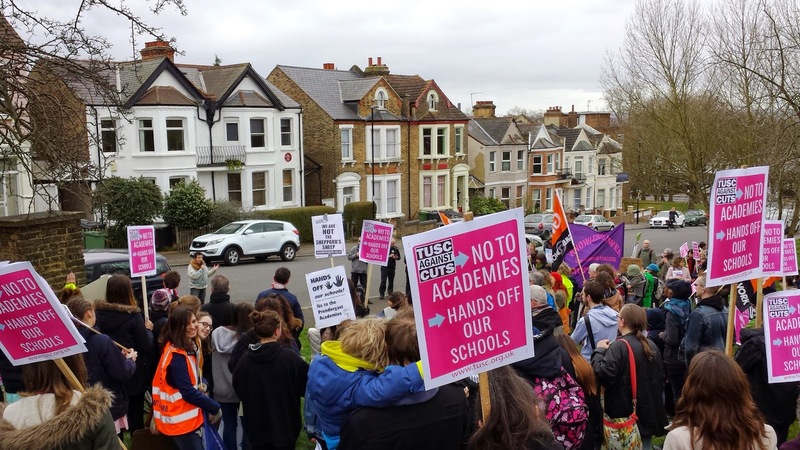 Saturday's demonstration will be followed by a joint two-day strike across the three schools on Tuesday and Wednesday. 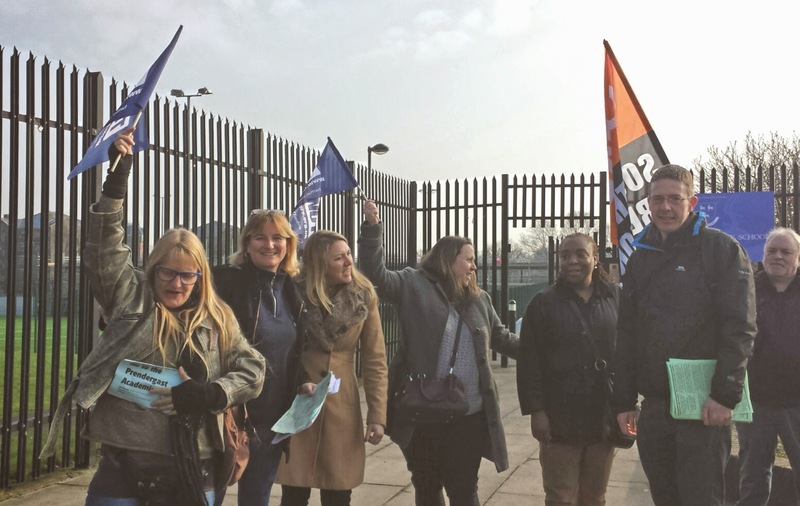 Striking staff will be distributing leaflets explaining why local parents and residents should say NO to academies.